NOTE: I HAVE NOTHING TO DO WITH RELEASING OR DISTRIBUTING THESE RECORDS. I MERELY COMPILED THIS DATABASE. 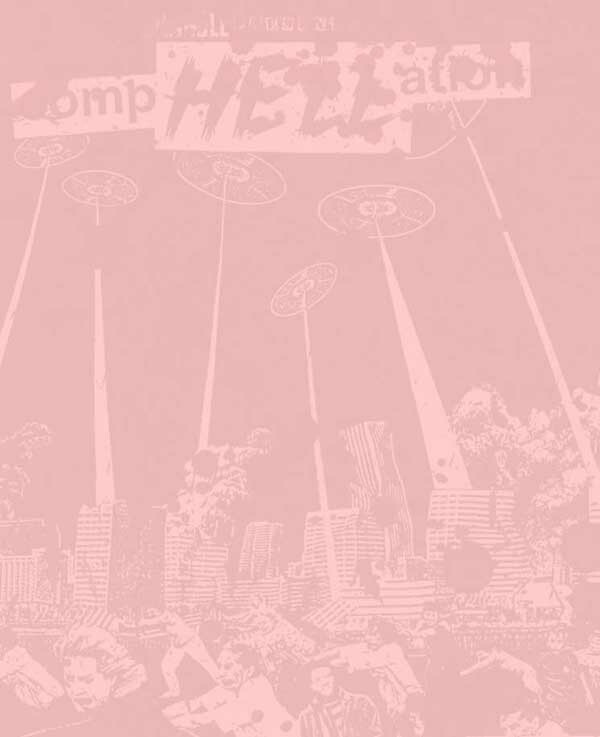 compHELLation was created to guide you through the murky waters of punk reissue compilations. The printed version debuted in December of 1998. Since then, mistakes have been found, more comps have come out, others have been since discovered. This website carries on where the printed compHELLation left off. Here, you may search old, rare, great punk reissues. One day I might actually update it. Email me with corrections, updates, nagging. Please note, for the millionth time: I DID NOT RELEASE ANY OF THESE RECORDS.